eCommerce sales are hiking at an unprecedented rate, and WooCommerce is one of the top eCommerce platforms that covers over 40%. It's simple, easy-to-understand for the average users, and ideal for small to large startups. This means it's easy for anyone and everyone to start an online business with WooCommerce if they have everything else in place. To stay ahead of the competition, it's important to know how to convert more visitors into end users and successfully get more sales. Built on-site search features that make it easy for your users to find what they are looking for, A/B test different versions of it to understand which products to display, add impactful popups like lightboxes, and recommend products to users based on view history, purchase history and products that are frequently purchased together. Use navigation that's easy for users to follow and a good WooCommerce theme. The ABC of getting more conversions says that your first step to get more sales and end users is to create an eCommerce homepage with compelling design and content. People are now increasingly able to differentiate between secure and insecure websites. And also skeptical about making transactions online. For this reason, ensuring security to your clients is a necessity for any eCommerce business. Also remember, your online store is a hub of confidential information, like customers credit card numbers, address, and a lot more personal stuff. To avoid unwanted troubles, ensure that your WooCommerce store is protected against threats and hackers with SSL certificate, timely updated with the latest versions of the plugin, has solid backups, password protected and only reliable people have access to the dashboard. Visual presentations grab more attention than texts. So using the right types and amounts of images in your web store is just as important. Good quality and genuine pictures send the right vibes to your visitors. When you showcase real pictures of the products you are selling instead of dummy pictures taken off the internet, you go one step ahead in compelling your visitors to trust you enough to buy. When you add clear, precise, and detailed product descriptions that reflect the item in question along with visuals, you are doing it just right! Your product captions and details are what clears up any remaining confusions in the visitor's mind regarding the product that's not clear from the images only. That's how you convert visitors into customers! So make it creative enough to touch your visitors' imagination. Research on the latest trending keywords that's relevant to your WooCommerce store and optimize your web store that way so you rank higher on pages like Google. Because when you rank higher, you get more traffic and sales too! Augment every page by carefully using sitemaps, coding and keywords in product descriptions as well as in your copywriting. A well-defined return and exchange policy give confidence to your customers about your products. If they are not satisfied with a purchase, they can return the item or exchange it for something that fits their needs. This guarantee alone leads to more conversions and results. But remember to be careful and don't just fluff about it. You have to follow through and keep your promise! You may have a great site and products to sell, but if your client service is not up to the mark, chances are you will attract send back more unhappy visitors. Your customer support is one of your key selling points. It's where a normal window shopper will convert with prompt replies to queries and the right guidance from your client representatives. And it's also where an angry upset customer will feel heard and valued. And may even become a returning client and brand ambassador for your store. So work on your customer support service and get a spike in sales as well as retain more existing clients. Build an easy-to-access contact us page, create support forms, live chats, email and phone support, and see which one works best for your business. Always keep up with competitor stores updates and work, both local and global. Study the latest marketplace trends and technology that you can implement. Stay one step ahead. Apart from having a rocking website for your WooCommerce Store, there's a little more that should be done to hike sales growth. One of the most effective ways to increase sales on WooCommerce Stores is to create remarketing campaigns using the data you find on paid ad platforms. It's important to know the specifics that include time, location and a lot more. To understand users in-depth you need to pass data from yourWooCommerce store to the right channels where you can run paid ad campaigns to bring in more people to the site. Retargeting is important to bring back users who have shown some interest in your site by clicking on an item for sale, viewing them, hovering over a button, or by adding an item on cart. These important data can be obtained from paid ad platforms like Facebook, Twitter, Google AdWords, and Perfect Audience which can be used to bring back these lost users by running remarketing campaigns. Most of the times, coding or some other sort of sophisticated knowledge is required in order to be able to obtain and understand such complex data. But not always! All these might seem like an expensive investment, but it can also be done with the help of an easy-to-use and free solution, like the WooCommerce Conversion Tracking. With this FREE plugin for WordPress, you can track several different actions that your visitors create in your WooCommerce web store. By tracking these you can then pass the data to different channels like Facebook and Twitter. Use these data to create customized marketing campaigns to target the right users for your web store who are using these channels. When a visitor carries out a particular set of actions in the WooCommerce store, he triggers some events the data for which are sent to Facebook. You can target these people using Facebook Ads and WooCommerce Data. Add To Cart – A huge percentage of visitors abandon carts due to indecisiveness and lack of the feeling of urgency. These are potential customers that store owners can bring back to their site using the Add To Cart event. Owners can reduce abandon rate by marketing these users with lucrative offers, discounts, and coupons. Initiate Checkout – People who initiated checkout means they went beyond add to cart to purchase your products. This event category lets you target them on a later occasion. Purchase – Using this event, track those who successfully purchased a product from your store. Now get to make them your recurring customers using the plugin. Complete Registration – Those who take time to create a profile on your store are very close to becoming your customers. For this reason, users who have subscribed to your site are great leads and potential customers. Targeting them effectively can increase sales, user activity, downloads, and referrals. Purchase – Simply input Universal Tag ID in the plugin to pass purchase data to Twitter. Keep records and re-target people who once purchased from the store to make them recurring customers. According to researchers, 80% of profits will come from 20% of your existing customers. Simply by linking Google AdWords Account ID to the plugin, send data to Google AdWords server. Purchase – The free version will track those client data who have made purchases. So you can retarget them to more relevant pages through Google searches of your site using AdWords campaigns. To know more on events for Google AdWords, read on AdWords Tracking on WooCommerce Store. The PRO version of the plugin helps you to track events for Perfect Audience like View Product, Add To Cart, Initiate Checkout, Purchase, and Complete Registration. To know more, read on Perfect Audience for WooCommerce Store. You can also add other platforms of your choice to your WooCommerce store using the Custom Channel Integration. There are many ways to achieve a blooming eCommerce business, and what may work for one endeavour may not work for another. The above tips and tricks are only a few that work well to increase sales and customer loyalty on WooCommerce stores. 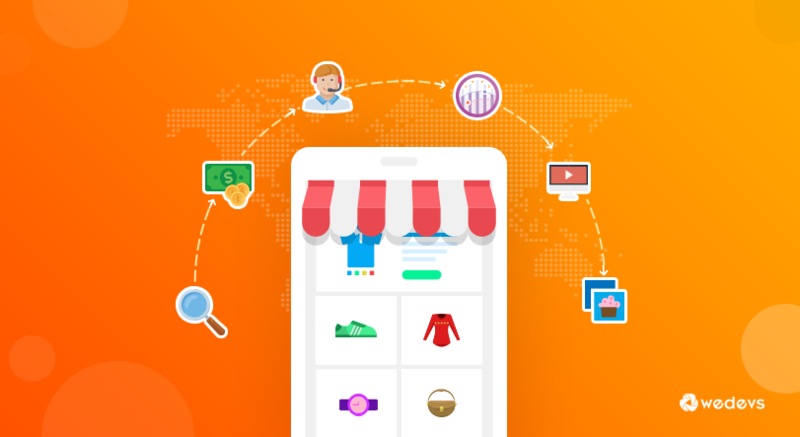 WooCommerce is one of the best platforms for online marketplaces that's perfect for beginners on WordPress & eCommerce, entrepreneurs who are just starting off, and even for large enterprises. What will differ from business to business is how you differentiate the value you present with your eCommerce from your competition. Do you have more hacks and tactics to increase sales and end-user base on WooCommerce? Feel free to share with us in comments! WordPress Blogger. Loves learning & writing about WordPress products. Marketing student, enthusiast and practitioner.